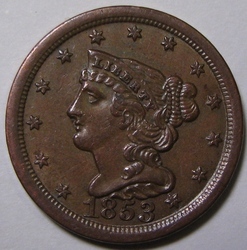 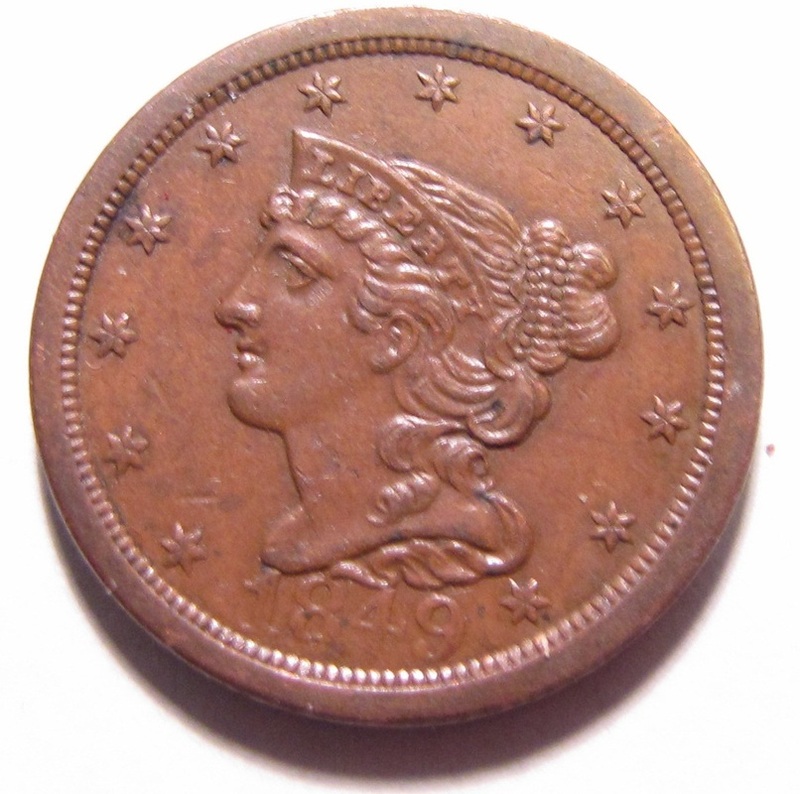 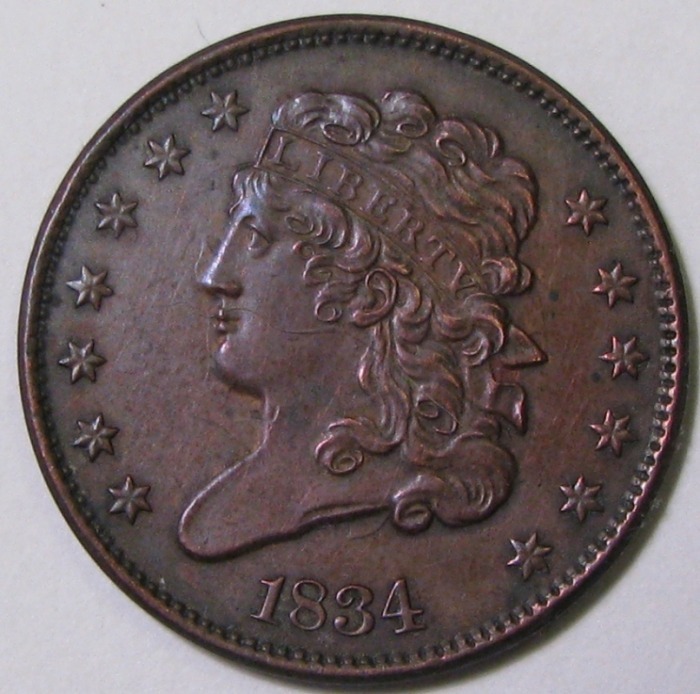 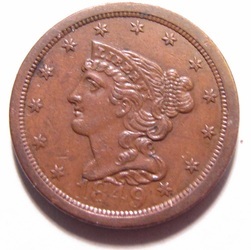 My collecting of Indian Head Pennies and Large Cents has led to a relatively recent (several years back, anyway!) 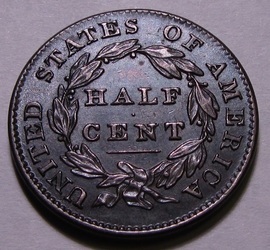 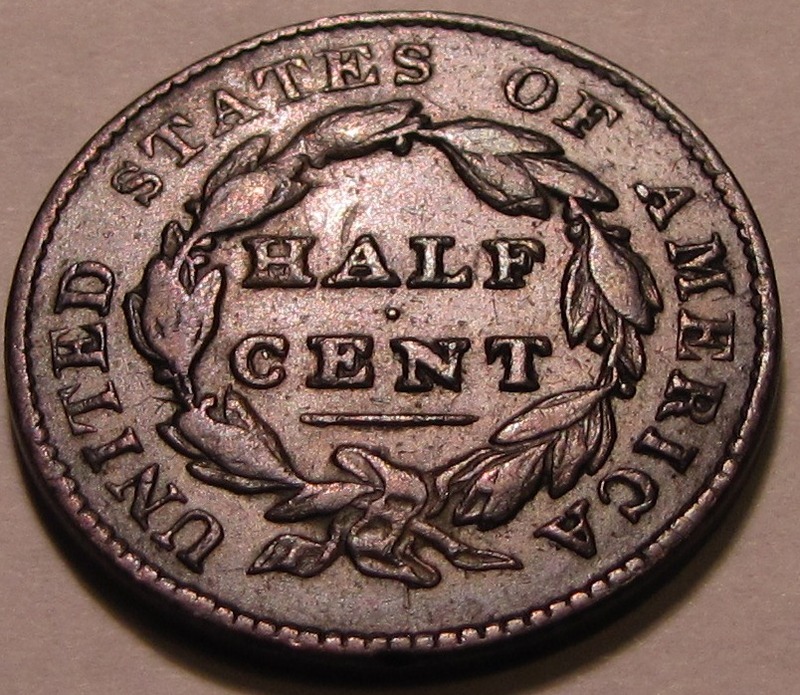 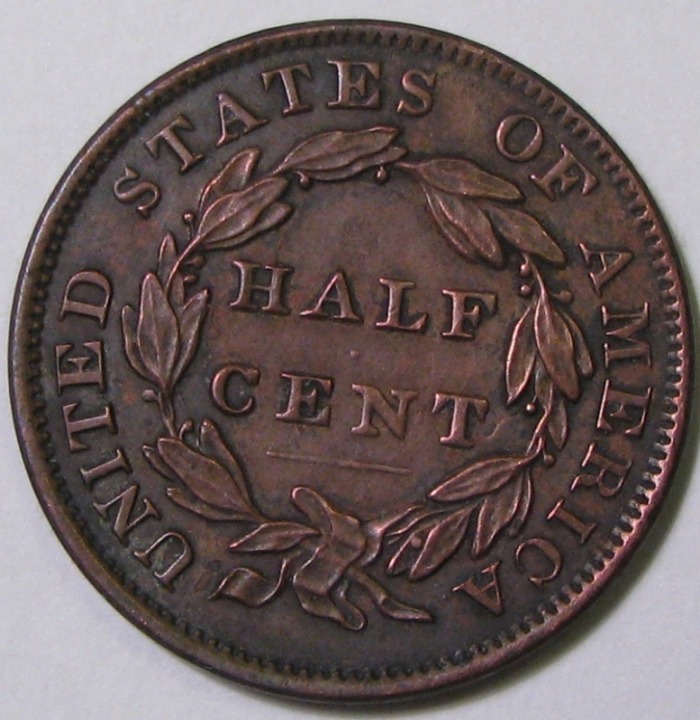 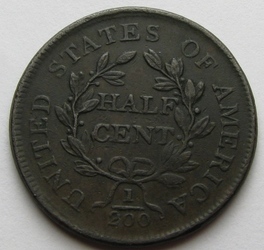 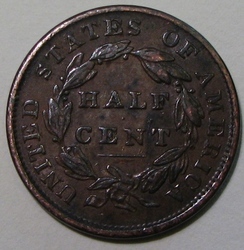 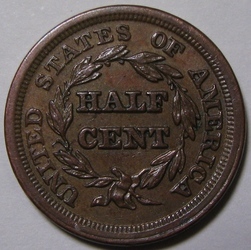 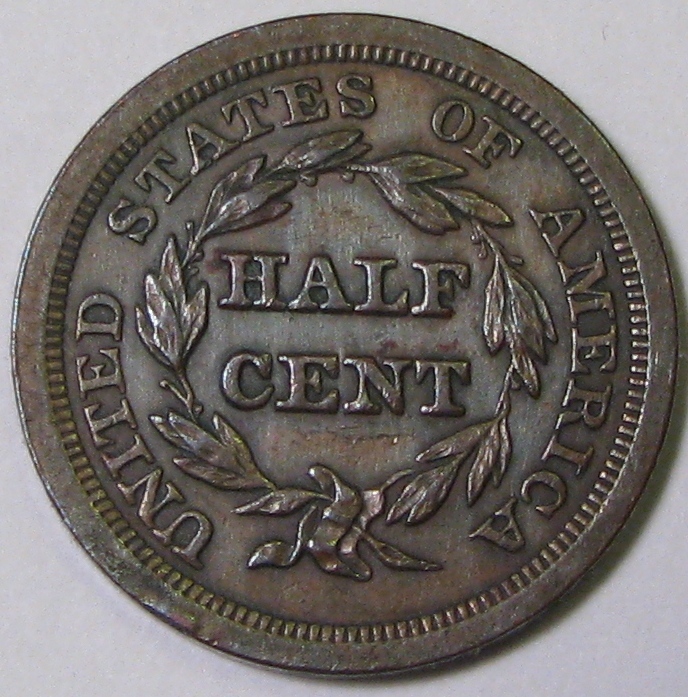 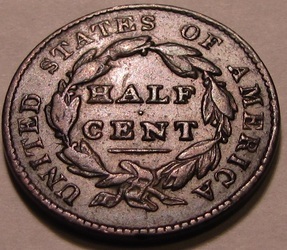 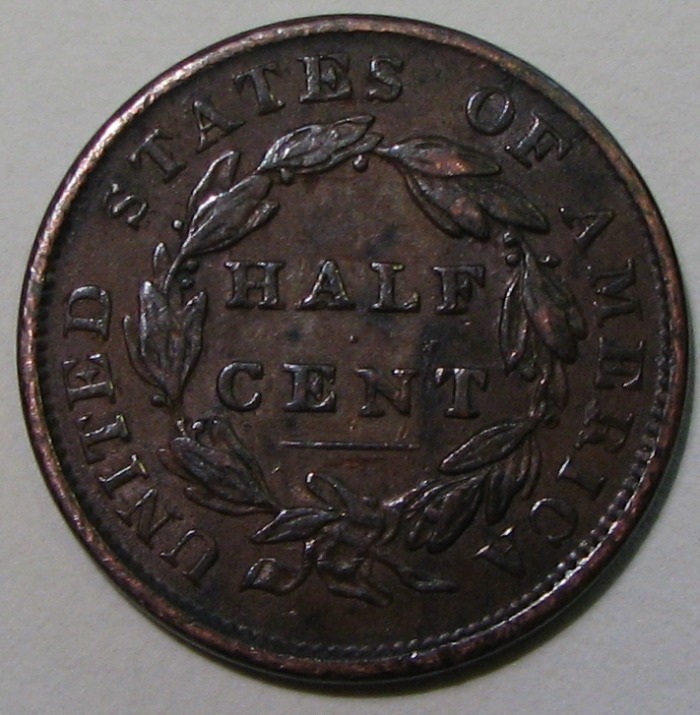 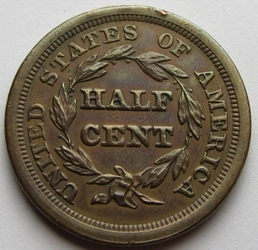 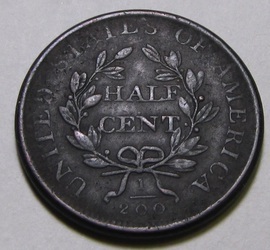 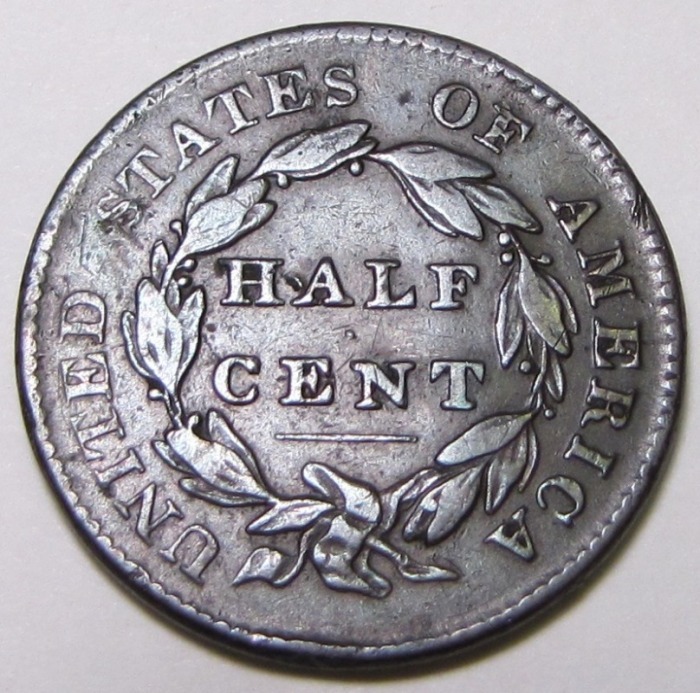 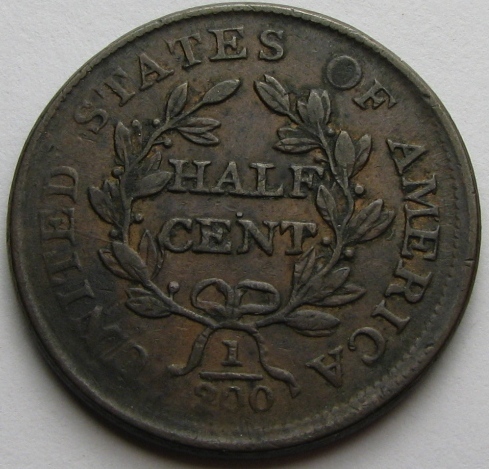 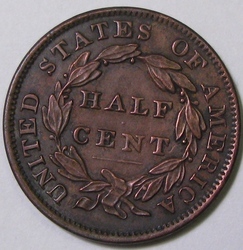 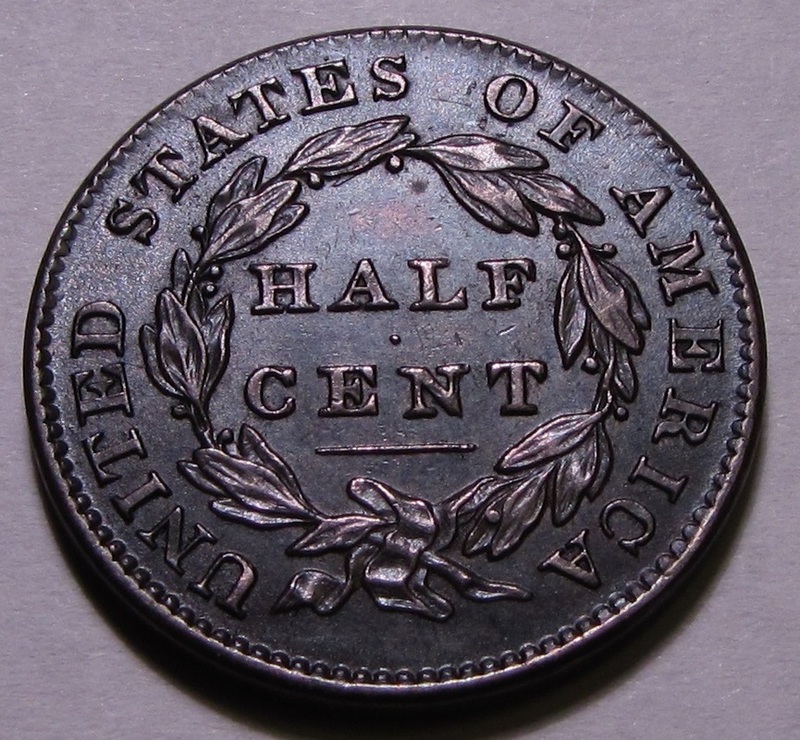 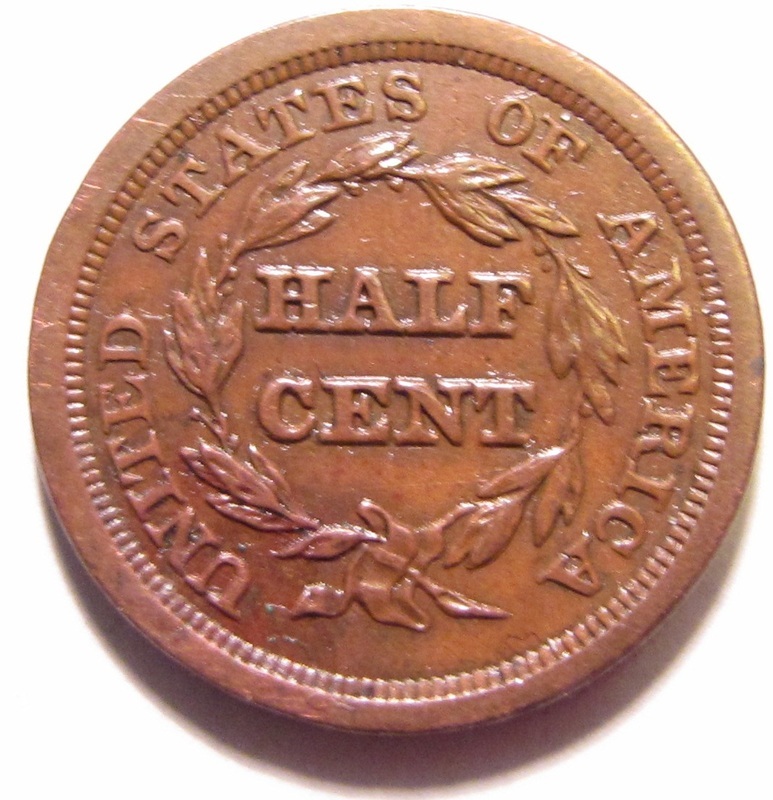 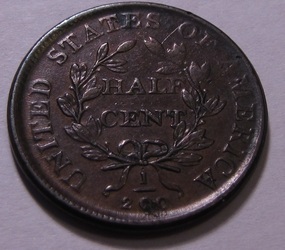 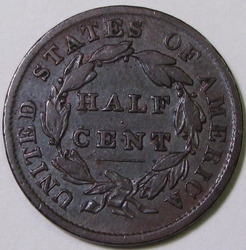 interest in U.S. Half Cents. 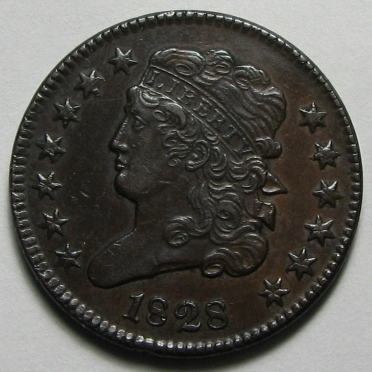 This obsolete denomination was coined sporadically from 1793 to 1857, including over 15 years during that period where none were minted at all. These are exceedingly hard to find, but I've been lucky enough to come across them on occasion. 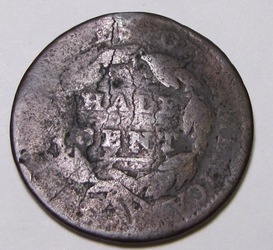 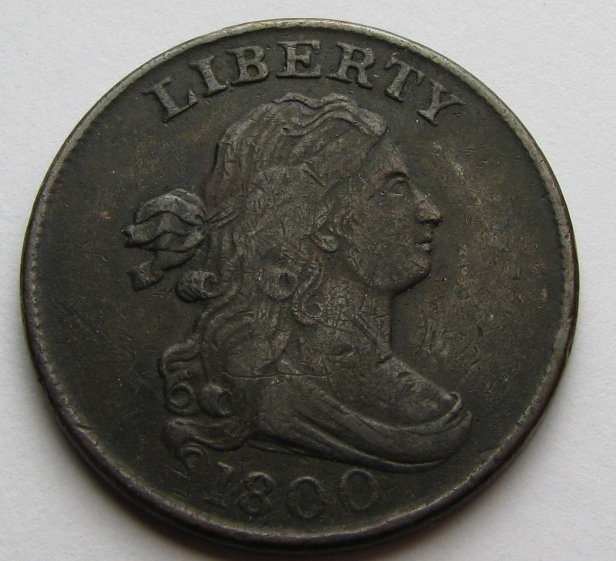 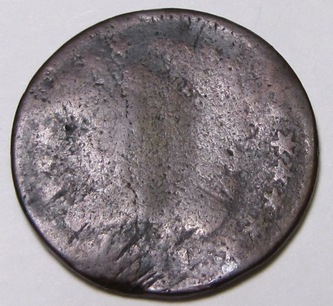 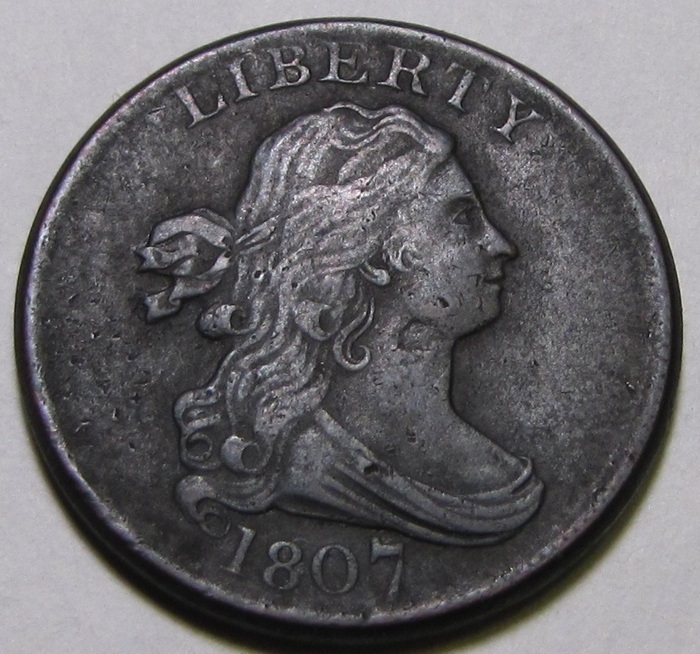 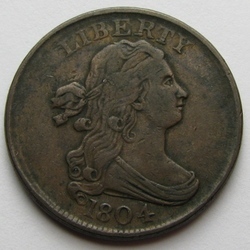 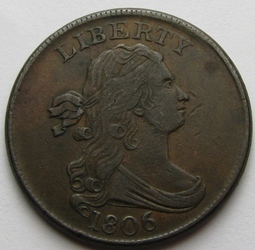 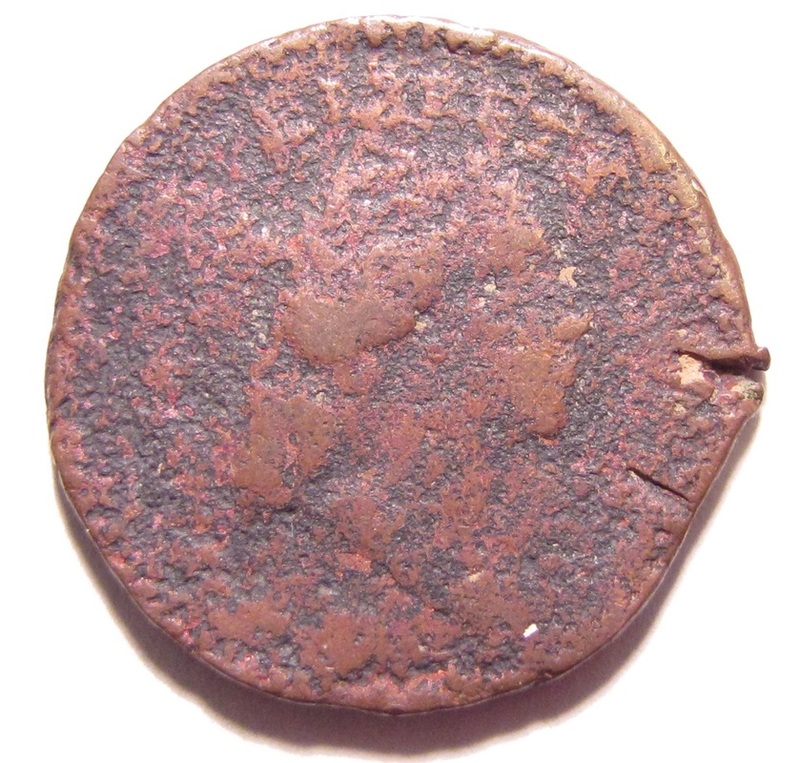 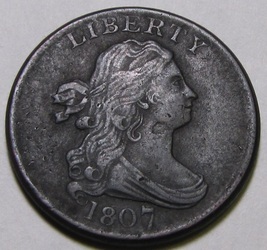 The first coin is a 1794 half cent, and it's about as rough as a coin can get. 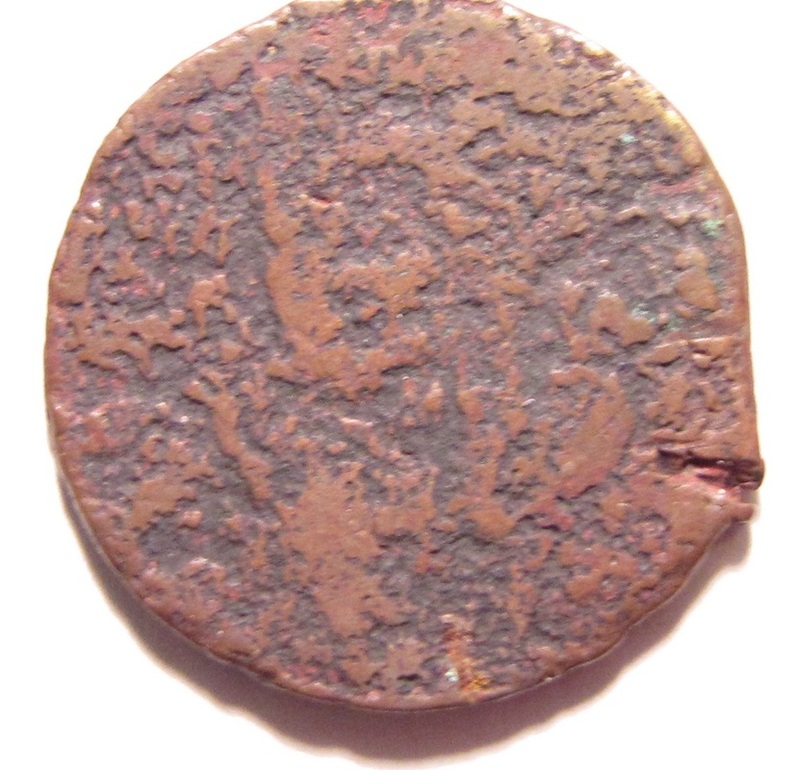 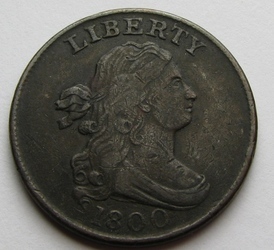 Date is obliterated, but the head design (high relief) is easily discernible and is only found on a 1794. 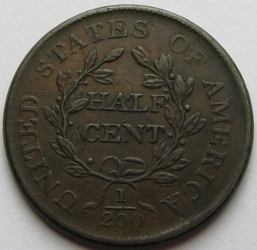 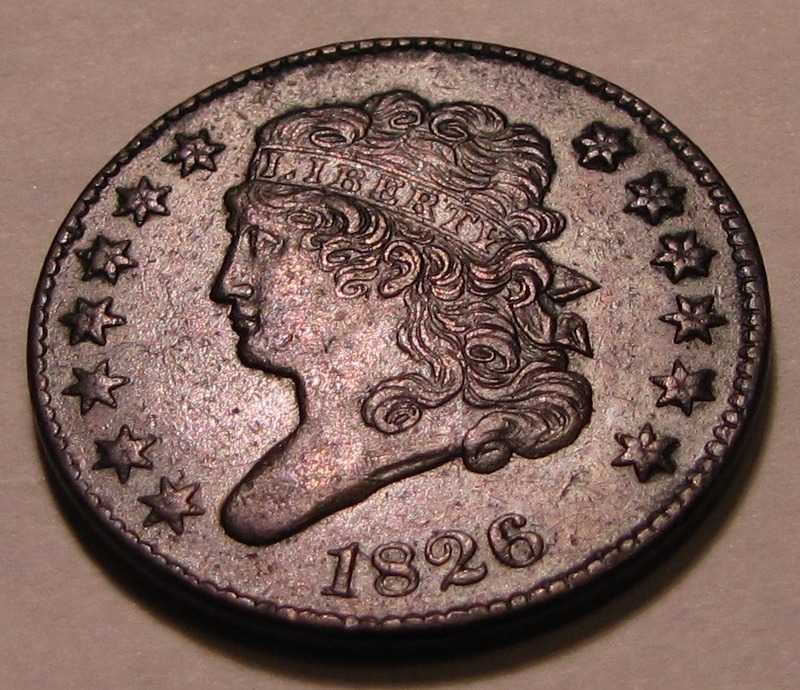 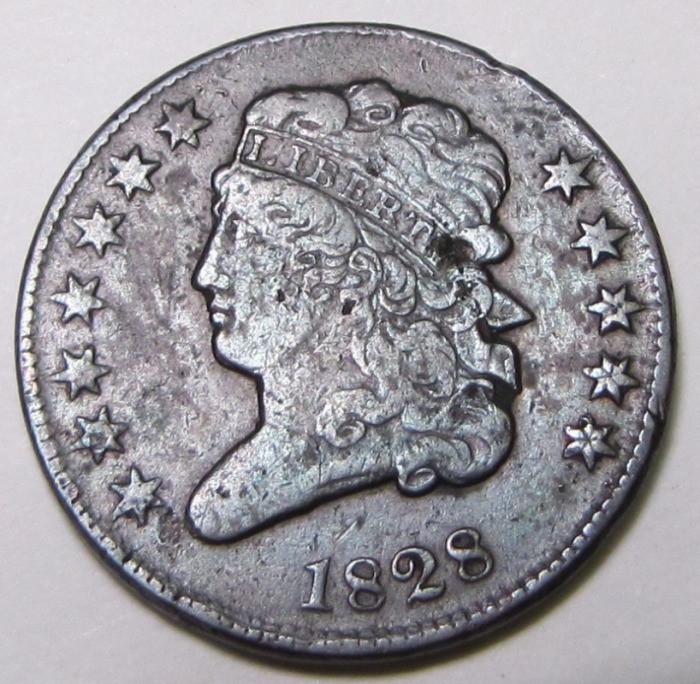 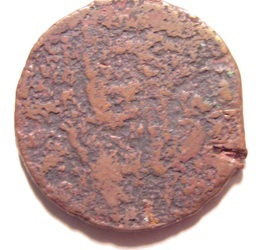 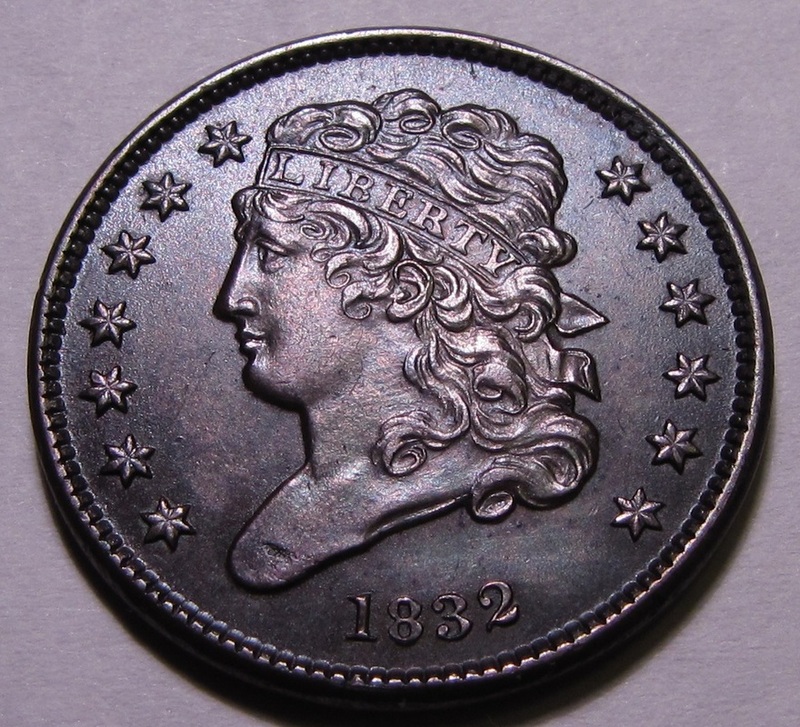 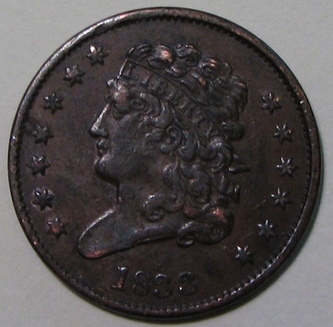 The 1811 is one of the rarer half cents, with only 63,100 minted 200 years ago. The 1811 and the 1794 are both in very rough condition, but they fill the holes for now. 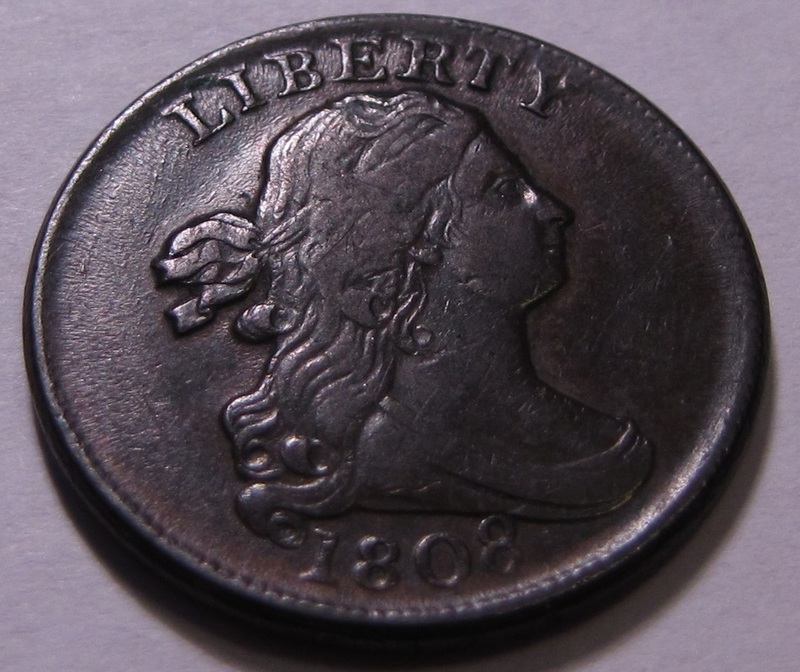 It's by no means complete, but the twenty-six coins I've found (with many higher grade!) in this obsolete series are a pretty neat accomplishment. Click on an image to get a larger picture. Enjoy! Note: I've taken the time to send some of the better grade examples out to PCGS for certification. Grades are as follows: 1800 VF35; 1804 VF35; 1805 VF35; 1806 XF45; 1828 13 Stars XF40, and 1832 UNC details (cleaned).